You really can't beat a good ol' Survival Horror game, cautiously wandering the lonely, creepy, creaking corridors, pre-emptively cringing as you open a door or turn the corner, and conserving your health items and ammunition for whatever unspeakable horrors may lay waiting just ahead. Of course none of these moments match the sheer terror brought on by actually coming face to face with the stuff of nightmares. From Japanese developer "Tecmo" Project Zero II: Crimson Butterfly is a Survival Horror game in which you play as a young girl named Mio Amakura, accompanied by her twin sister Mayu Amakura, who at the start of the game both find themselves having accidentally wandered into the "The Lost Village" Now why exactly the village became "lost" to begin with will remain a secret due to spoiler related reasons, but I can tell you however that the villagers don't exactly take kindly to outsiders just wandering in, even more so now that they're all dead and vengeful. The basic setup is pretty standard for a survival horror game, you've got a creepy setting which is the village and the surrounding area, with lots of puzzles, locked rooms and keys to find. And a lot of mystery surrounding the villagers, and their strong affinity for "twins" an "endless ceremony" which prominently features their involvement, not to mention discovering the answer as to just why exactly everyone in the village is now dead and not quite loving it. As you make progress the plot naturally starts to unfold, you'll also come across documents and journal entries that help better explain the events that transpired before whatever calamity fell upon the village. But the main appeal of any Project Zero game comes from how you actually fight with the ghostly inhabitants, you see your one and only weapon is a camera, known as the "Camera Obscura" capable of taking pictures of ghosts and other spiritual entities, and exorcising their souls. However simply taking pictures of ghosts does very little damage, the trick here is to allow them to get as close as possible while allowing your cameras spirit energy to build up, preferably waiting until the ghosts warped, distorted mug is face to face with your own and then in the split second as they are about to attack, you can perform what is known as a "Fatal Frame" dealing far greater damage. That's right, to effectively defeat the now damned villages inhabitants you need to get as up close and personal as you can with those ghostly goolies. 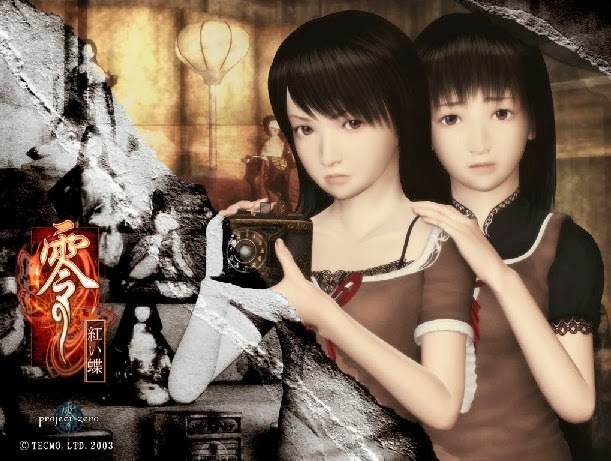 The game boasts many ghosts that could make for sufficient nightmare fuel, such as the Wanderer (Miyako Sudo) the Woman in the box, as well as (Akane Kiryu) & her twin Doll, but none are quite as visually imposing as "The Kusabi" Due to being tortured and broken in life The Kusabi returns as one of the most vengeful and scary ghosts in the entire game, if not the franchise. However even The Kusabi pails in comparison to "Sae Kurosawa" in life a young shrine maiden who lost her twin sister (Yae Kurosawa) and was then forced to perform the "endless ceremony" alone, but shortly after returns to the world of the living as the most hate filled and vengeful spirit the franchise has seen to date. The insane laugh Sae makes as she stands over the butchered remains of her fellow villagers wearing her white blood splattered Kimono, is one of the most legitimately terrifying things I've witnessed in a video game. Check out this video of Sae's terrifying introduction, if you dare. 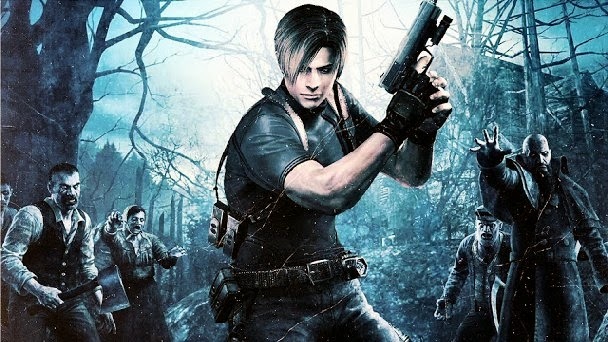 Brought to us in an age before Capcom sort of lost the plot a bit, Resident Evil 4 is a "Survival Horror" game with a slightly bigger focus on the action when compared to it's predecessors, it's an incredibly fun, well paced and, and well... OK OK, so maybe Resident Evil 4 isn't the "scariest" game in the franchise, but I'm sure we can all agree that it's still miles scarier than RE 5 or 6. Anyway, what a lot of people often forget is that Resident Evil 4 boasts one of the most legitimately terrifying enemies seen in the franchise thus far, the Regenerador. Damn these things were scary! Apparently they are experimental bioweapons created by implanting leech like Plaga into a human host. Slow moving and seemingly lacking in intellect, but capable of near-instantaneous regeneration, they are able to take incredible amounts of damage and even decapitation of their limbs! That's right, take out their legs from under them but don't get too close or they'll wriggle over and take a chunk out of you. A Regenerador can be killed eventually by succumbing to their injuries but your best bet is to use a sniper rifle from a distance and equip the infrared scope to locate and destroy the Plagas inside the host. What? The Regenerador not scary enough for you, you say? Alright, how about the Iron Maiden? Basically a Regenerador with a multitude of spikes expanding and contracting out of its body, the image of one of these things awkwardly slumping itself your way is enough to give even the most hardened Survival Horror gamer the goosbumps. Honestly the only thing you'll find creepier than these two inhuman variants in RE-4 is their breathing you hear echoing throughout the research facility on "The Island" whenever one of them is lurking in the shadows. This video shows exactly why going toe-to-toe with an Iron Maiden is a terrifyingly bad idea. Outlast is a "psychological horror" video game developed and published by Red Barrels Games, a company founded by people previously involved with video games such as Prince of Persia, Assassin's Creed, Splinter Cell and Uncharted, it's also the scariest damn game likely to come out this year. Outlast puts you in the shoes of "Miles Upshur" an independent journalist given a lead regarding some unusual goings on at Mount Massive Asylum, a "massive" asylum based in the remote mountains of Colorado, and long-abandoned home for the mentally ill, but now recently re-opened by the �research and charity� branch of the translational Murkoff Corporation. Miles breaks into the facility only to encounters an impaled SWAT officer and his decapitated crew, who before snuffing it tells the journalist to get the hell out of the asylum while he still can. Only whilst making his way to the exit Miles is attacked by a very large and powerful inmate named Chris Walker, who throws him through a window, and down onto the atrium floor below. It's upon regaining his consciousness that Miles then meets "Father Martin" who refers to miles as his "Witness" After passing out for a second time Miles wakes up to find himself trapped by the horrors within Mount Massive Asylum. Unlike your typical monsters, mutants and ghouls seen in many other video games, Miles enemies are the now escaped inmates, known as "The Variants" tortured, mutilated and driven beyond madness and beyond recognition, these unfortunate souls now stand between you and your escape. Armed with only a video camera and it's night-vision function, Miles must make his way through Massive Asylum doing his best to avoid The Variants, by creeping, crawling, and hiding in the shadows as well as lockers and under beds, Miles can also use his video camera to record events, as well as find confidential files that offer a deeper glimpse into the events that led Mount Massive Asylum into ruin. Throughout the game you will hear talk of a seemingly supernatural entity known as the "Walrider" and even bare witness to footage of the asylum's security forces being brutally slaughtered by it. As if being locked up with a bunch of crazed inmates, a murderous doctor and a less than helpful Priest wasn't bad enough, Miles now has to worry about coming face to face with a ruthlessly violent supernatural entity. I must say that the atmosphere and pacing in Outlast comes together perfectly, offering some truly tense and creepy moments, as well as some terrifying jump scares. Whatch the Outlast Official Trailer (Full Version) to get a taste for the terror within. Dead Space was developed by Visceral Games and published by EA. Now while the latest release in the franchise is widely regarded as a disappointment by most, due to its departure from Survival Horror elements such as a creepy atmosphere, a need for ammo conservation, and you know, being scary, in favour of action, large set pieces and Hollywood-esque story telling. 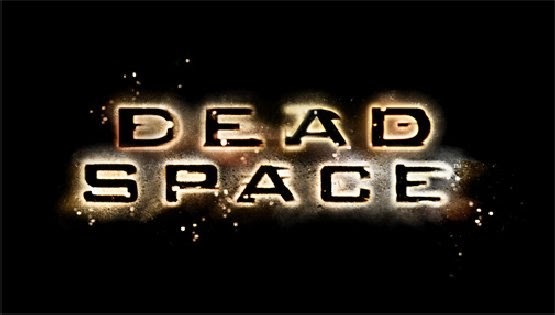 But the original Dead Space still holds up well even by today's standards. Stepping into the space-boots of Isaac Clarke, a ship systems engineer, players must fight for survival against an Alien horde that has infested the mining starship "The Ishimura" (aka Stone Village) along with slaughtering the entirety of the crew, and then reanimating every corps via bio-recombination transforming them into "Necromorphs" In order for Isaac to effectively battle the Alien threat he must decapitate them limb from limb using a wide array of guns, engineering tools used as make shift weapons, as well as using his powers of telekinesis and a Stasis module for temporarily slowing down time. Dead Space boasts a myriad of cringe worthy Necromorph monstrosities, but none are more terrifying or relentless than "The Hunter" biologically engineered by Doctor Challus Mercer on board the USG Ishimura. It was created by inserting a piece of necrotic tissue, obtained from the flesh-like growths covering some sections of the Ishimura directly into the cranium of a live, unknown crew member. Yikes! As if regular Necromorphs weren't difficult enough to kill, The Hunter due to it's ability to quickly regenerate any and all limbs is pretty much invincible, the only sure fire way to survive an encounter with one is to blast of its limbs and use you "Stasis Module" to produce a temporary time dilation, basically slowing down time in order for you to make a strategic retreat. This short trailer for Dead Space conveys perfectly the loneliness,despair and terror felt whilst actually playing the game. Silent Hill 2 was brought to us by Japanese video game publisher and developer Konami. Ask any Survival Horror buff what their favourite Survival Horror game is and chances are they'll reply with "Silent Hill 2" and with good reason, the game offers one of the best "Physiological" Survival Horror experiences you could hope to find, not to mention boasting some of the most creepy, chill inducing and just plain terrifying monsters to be found in the genre. 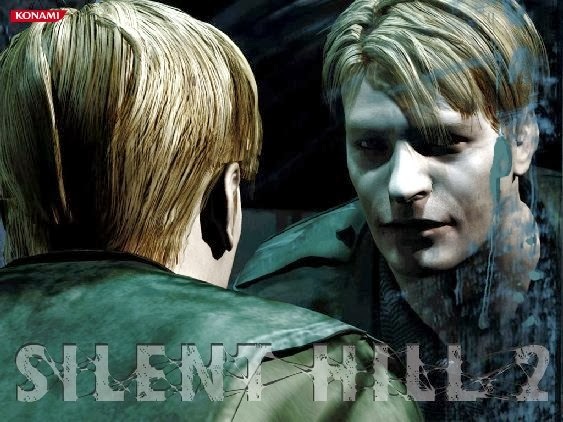 In Silent Hill 2 players take control of mild mannered James Sunderland, who is on his way to an old holiday resort called "Silent Hill" after receiving a letter from his wife asking for him to meet her there. The thing is though, James's wife has been a bit dead for a while now so naturally he's a little perplexed as to what's going on. 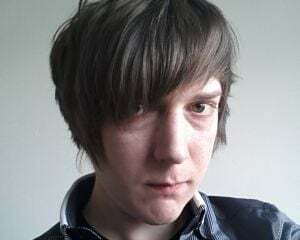 But not really having anything better to do James continues on his way and upon reaching the town of Silent Hill, begins his gradual decent into despair. Just about any monster in Silent Hill 2 can act as sufficient nightmare fuel, but one monstrosity in particular has gained a cult following all of his own "Pyramid Head" If you're even remotely familiar with the Survival Horror genre then chances are you've already heard of this pyramid shaped helmet sporting, broadsword wielding behemoth. What many people may not be aware of however, is the significance of Pyramid Heads design. You see Silent Hill likes to get under the skin of its victims by creating monsters based on their fears, regrets and repressed emotions. Pyramid Head being no exception, represents James's repressed sexual desires that are not being met now due to his wife being dead, amongst other things... But I won't spoil the mystery for those looking to experience the game themselves. What I will say though is that James Sunderland has been a very naughty boy and Silent Hill has crafted the perfect vessel, Pyramid Head, in order to bring down the towns own special brand of punishment on poor ol' Jimmie boy. So, do you agree with my list of The 5 best Horror games to play this Halloween? Or is there a game you would swap out to replace with another? Let me know what your favourite Horror game is and why in the comments section. Thanks for reading my blog and I hope you all have a Happy Halloween!.